"Stocking the Guppy's range has been transformational for our Chocolate sales. The range is innovative, varied and is of such high quality that we're finding customers coming back time and time again." 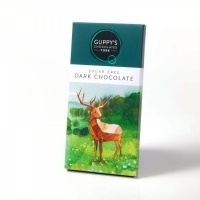 "Guppy's Chocolates are very much enjoyed by our customers and they provide great service to Flowery Dell Luxury Lodges in the Yorkshire Dales with their handmade chocolate creations." "As a great believer in supporting smaller business's surrounding our store's in the area's we operate, we looked around and found Guppy's of York. We highly recommend the product quality and great customer service Fran and Peter from Guppy's offer as well as the great range which is attractive to the eye and, of course, great to eat." 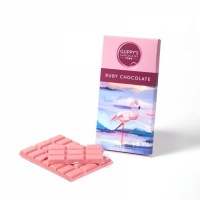 "Guppy's Chocolates make a wonderful variety of bars, shards and confectionery, made with quality chocolate, beautifully packaged, in a delicious range of flavours." "Always our best selling range of chocolate with our customers looking for a quality product produced in Yorkshire." 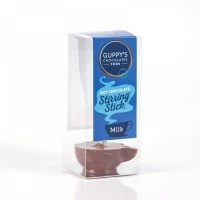 "We love the quality of the product range that Guppy's offer. Additionally, the service they offer is great, they always deliver on time and the people are lovely." 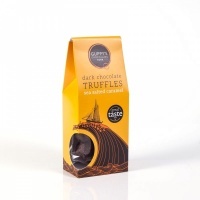 "Guppy's Chocolates produce an amazing array of flavours and I've yet to try one I didn't like. There really is something for everyone and it's very popular with our customers."